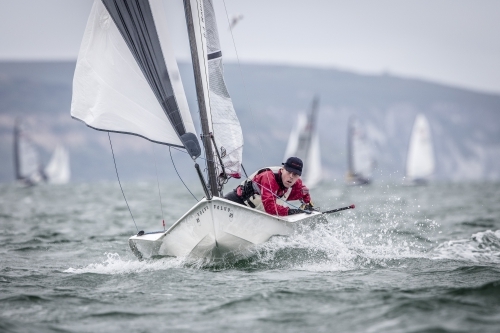 RS100 Gul Grand Prix – Queen Mary. 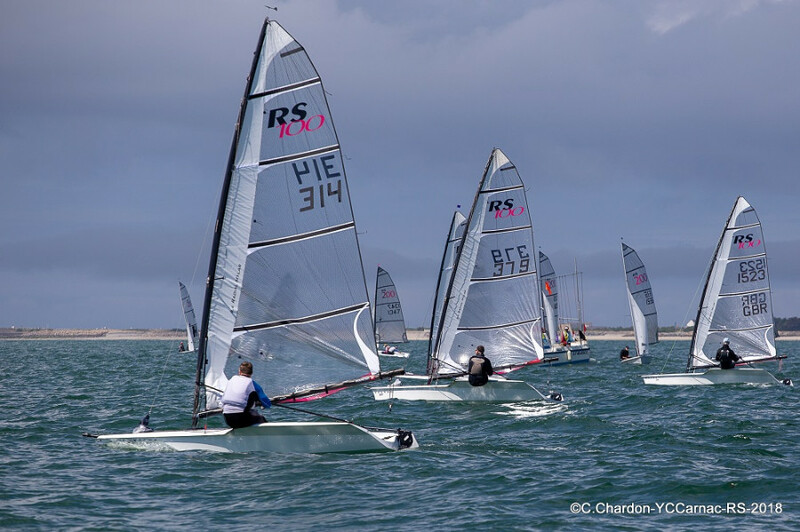 The RS100 fleet turned up for their first ever open meeting at Queen Mary Sailing Club to be greeted with bright sunshine and an unexpected 10-14kts of wind. With seventeen entries and such perfect weather it was always going to be a good day! The first race started in 10kts and shifting wind. After a pin end start Paul Childs and Sam Vaughan shot up the first beat to lead from Alex Morrison. The beat into the corner of Queen Mary provided some challenging gusts and shifty wind conditions. After some very close racing and much place swapping Sam Vaughan had the lead on the final lap. 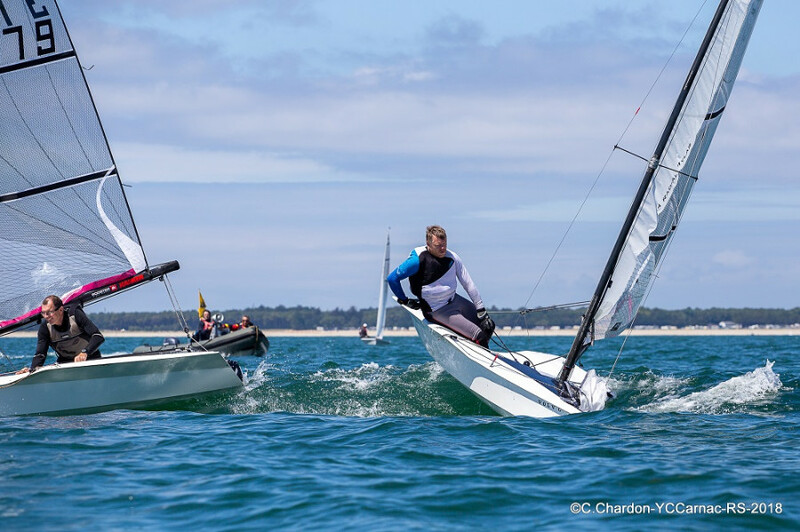 Following a tricky run with only one gybe to go before glorious victory Vaughan decided to sample the chilly water of Queen Mary allowing Morrison to finish first with Childs second and Jamie Morgan third. Unfortunately both Childs and Vaughan had shot the gun early and were both OCS. 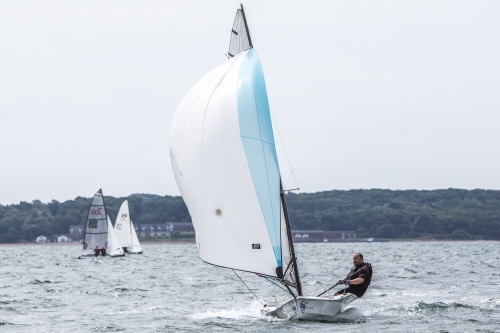 The second race saw an increase in wind with a starboard end line bias. This caused a number of helms to be locked outside the committee boat whilst trying for the perfect start. 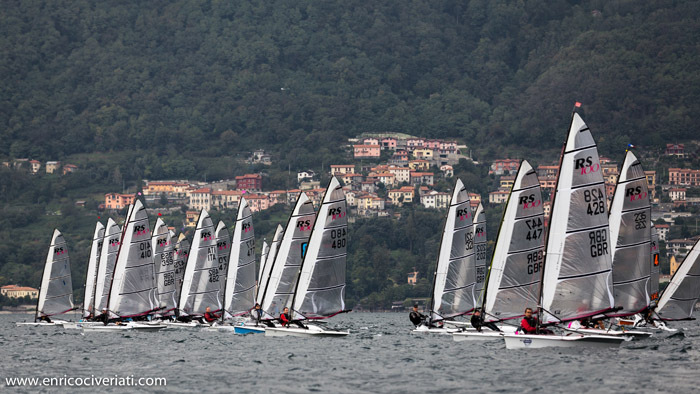 The race saw Childs emerge at the windward mark first and manage to hold this lead until the end. Behind John Holroyd managed to have a storming last run blasting past Morrison to take second at the gun. The final race of the day saw a huge left hand shift with one minute to go, prompting everyone to start on port. Morrison fired out right with the rest of the fleet split and when the breeze clocked back right Morrison came out smelling of roses. Finishing Second was Childs closely followed by Chris Larr and Andrew Beynon. That evening the RS100 fleet headed to the local curry house, which was bursting at the seams (or not…), to destroy some food and a few pints of Cobra. The forecast for Sunday wasn't looking hopeful, however when we arrived at Queen Mary we were once again surprised to find that there was breeze and racing starting on time in 6-8kts of wind. Race four began with a close tussle of boats shooting upwind. At the spreader mark Tom Hooton decided that after all that hiking he was too hot and a swim was required to cool off. In the shifting breeze it was hard for anyone to make their mark, until Larr did just that absolutely flying off to hold a significant lead at the finish. Morrison finished second, followed by Clive (I want my 8.4 back) Eplett. Race five was again a light and shifty affair which saw Andrew Beynon and Morrison slogging it out all the way round the course. The final 100m of the run saw Morgan slip into the lead with Beynon second and Morrison third. For the last race of the day the breeze increased giving Paul (maybe its time I just quit the gym) Childs the advantage in the smaller rig. Childs was hotly pursued by Morrison and Holroyd. On the final lap Larr brilliantly shot from sixth to first with Childs slipping from first to third under the pressure. Larr was followed by Holroyd with Morrison finishing fouth. Congratulations must be given to Morrison for his event win and Queen Mary for holding such a fantastic event.